David Brown seems like your typical 50-year-old man, with a myriad of blokey interests ranging from soccer to Sunday jams on his Fender guitar. Mr Brown’s chosen occupation, however, has placed him in one of Australia’s significant minorities: the male nurse minority. It’s fair to say that the Australian workforce in the 21st century has witnessed certain shifts in gender stereotypes, including the appointment of our first female Prime Minister and the exponential increase of women entering the medical profession, which has risen more than 75 per cent since 1999. Largely unnoticed is the gender imbalance that continues to taint certain female-dominated occupations, such as nursing and primary school teaching, which have not risen in male numbers over the past decade. Mr Brown has worked in the nursing profession for 32 years, and has never seen his gender as a barrier to pursuing his passion. ‘It’s something that I always wanted to do… to try and help people or do good,’ Mr Brown said. That may be, but male numbers in this profession have remained stagnant in recent years. Professor Michael Hazelton, the head of the School of Nursing and Midwifery at The University of Newcastle has worked in the industry for 38 years, and is unsure as to why men make up a mere 10 per cent of the workforce, a number which has not risen over the past decade. Historically, the notion of nursing as a female occupation emerged in the 1860s, when the founder of modern nursing, Florence Nightingale, took over the profession, which was traditionally occupied by army veterans, and declared that men should not be nurses. 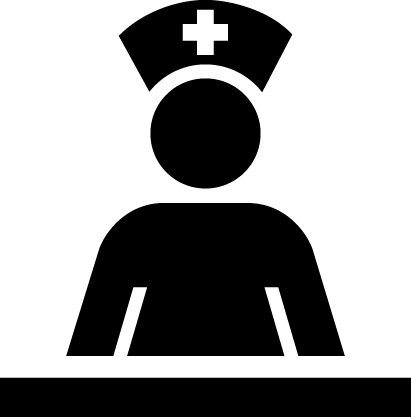 The stereotypical image of a nurse transformed to that of a caring and nurturing female – a far sight from the traits of strength and masculinity prevalent in male stereotypes. It is believed this continues to deter males away from the profession. ‘I do still think that there are some gender stereotypes… some men in society probably still link males in nursing perhaps with homosexuality,’ Professor Hazelton explains. Professor Hazelton said he does not feel that stereotypes have affected his own career to a significant extent, and he has never suffered discrimination from within the profession. ‘From outside the profession at an earlier stage, one or two comments would be made in terms of, “Why are you going into nursing when you’re a male?” I had one person say to me… “You’re never going to get anywhere in nursing because it’s a woman’s job and it’s going to be really lowly paid”… I’d love to see what they say now… I’m almost certain I’d be on a higher salary level than they would,’ Profession Hazelton said. Donovan Jones, an academic at The University of Newcastle and a registered midwife, has felt certain impacts of gender bias from within his profession of midwifery – which, in Australia, males comprise only 1 to 3 per cent. Mr Jones also believes the view that women prefer female midwives, reflected in the 1951 Midwifery Act which banned males from entering maternity wards, primarily came from female midwives within the profession rather than patients. He claims that his gender has rarely been a problem during his four year career. Mr Jones does recognise, however, that stereotypes from outside the profession contribute heavily to the lack of males entering midwifery. ‘I think there are a lot of sociological issues around it, the idea of caring men, the two things that will either come up are (a) are you gay? Or (b) you must be some kind of sexual deviant. That’s really sad, because I think a lot of men want to be able to show that kind of a caring in a profession but aren’t allowed to because of social constraints and gender issues that we have,’ Mr Jones said. Does it matter that men represent only a small number in these professions? For Professor Hazelton, it does. He believes that greater male numbers will help to improve the nursing industry. ‘I think that medical practices have been revolutionised by the fact that more than 50 per cent of medical students are female now… maybe it’s unrealistic to expect we’ll get 50-50 in terms of gender balance, but 20-80, 30-70, I think would fundamentally change some aspects of nursing for the better. He also believes that a lot of men are missing out on a marvellous and often well-compensated career pathway. ‘When I do a welcome to students in day one of semester one I always say congratulations on a brilliant choice, this is a proud profession with a long history… and well done to the guys who have actually come into it because you’re going to find it fascinating. ‘[There are] international travel and work opportunities, career pathways… one would be the clinical pathway which can lead to a nurse practitioner, where a lot of the role is very similar to what a doctor does… it’s not unusual for a clinical nurse consultant to be on nearly $100,000 a year, and even the starting salary is well into the $30,000s,’ Professor Hazelton said. Although in Donovan Jones’ view gender does not play a part in the role of a midwife, and therefore there isn’t a specific need for men in the profession, he believes that a lot of men are avoiding a rewarding career choice. It’s clear that for Donovan, midwifery is a rewarding career choice and as he believes he is making a fundamental difference to the lives of women. In terms of what should be done about these gender imbalances, Donovan Jones said the key is to start small: teaching young men that female dominated occupations should not be avoided. ‘Ideally what we need to do is start educating boys or men… at high school age, and start getting away from the stereotypical view of what we think men should do, and those that show that calling if you want… should be encouraged, if they feel they’re up to it and they want to do it,’ Mr Jones said. The process of educating these young men, however, remains another predominately female domain, with the amount of full-time male teachers dropping by 9 per cent over the last decade. According to the Australian Bureau of Statistics, only 19 per cent of primary school teachers are male, but these figures have not deterred nineteen-year-old Macquarie University student Sean Hansen from pursuing his teaching dream. ‘I always sort of liked the idea of teaching, I had some good teachers in primary school, I had some good male ones as well, and when I started high school I realised how important it is to have male teachers there. Sean is not fazed by the fact that he is outnumbered by females in his classes, and believes there is a need for male primary school teachers as they provide fundamental support for young men during a transitional period in their lives. ‘I think it will help with students opening up. I was out this morning and I was talking to this kid and he said that he wished he had a male teacher… I think they find it easy to open up to someone of their own gender,’ Mr Hansen said. What the future holds for men in female dominated occupations, only time will tell. But with the culture of gender equality so characteristic of the 21st century, will we see a greater gender balance in these professions in the future? Although statistically a drastic increase doesn’t seem on the horizon, Professor Hazelton remains positive, and believes that as long as the profession of nursing continues to improve, so too will male recruitments. ‘I think gradually that it’s happening now, bit by bit. There’s a part of me that’s surprised that we’re not maybe more around 15 per cent of the workforce at this stage, but I don’t see it going backwards. ‘In many ways I think it’s more an issue of, how do we improve nursing? And the more we improve nursing and the more opportunities we create, the more prestige and social recognition for the full range of responsibilities we have… the more men and women interested in the profession are likely to be attracted to it,’ Professor Hazelton said. In terms of midwifery, Donovan Jones believes there is a long way to go before we will see significant increases in male numbers, but does see a future for men in this domain. ‘I suppose we’re becoming more accepting of other cultures and religions, and other ways of life, perhaps in time it will become a little bit more of the norm. ‘There’s definitely a long way to go… I have found that men are interested in entering this profession… but it also depends on whether or not the profession is going to be accepting of the men, and whether or not the men believe themselves that they’re making a difference in the work that they do,’ Mr Jones said. So when David Brown dresses in his nursing scrubs before making his way to Gosford hospital for an overnight shift, he is not only helping to mend the patients who are always delighted by his gentle care and witty humour, but societal stereotypes which cloud his profession, and should not have a place in the Australian culture of equality. I agree we should have more gender equality in all professions including the female dominated ones. One of the reasons a lot of men don’t want to become teachers or nurses is that they are considered to be lower paid and less prestigious jobs (which your article touched on). I think there is an important point that was overlooked by your article, however. I am a female primary school teacher and I know for a fact that whilst there are a lot more women in the profession as a whole, most of the executive positions of Assistant/Deputy Principal, Principal, and many higher up jobs in the department level are filled by men. I can’t remember the percentage off-hand but it is significant disparity. I’m not sure if the same applies in nursing. Moreover, I had male friends in uni who scraped through by the skin of the teeth (many being allowed to pass with 49% in assignments and subjects), who rarely attended class, etc who now have full time jobs by virtue of being male while myself and most of my female colleagues are slogging it out as casuals. I avoided teaching for a long time as a career option because I didn’t want to do a ‘girly’ job (then I grew up and realised the importance of the profession). But I find it frustrating that I have chosen a female dominated profession and still hit a glass ceiling. And that people thing I am not very intelligent because I have chosen to be a primary school teacher (which is my second degree and I’m currently working on my third). It’s not purely a gender issue, it’s a social perception issue too. And that’s my (lengthy and hopefully correctly spelt) 2 cents. Great article Donovan. I have worked in nursing for 25 years+ as well as in research and law. There has always been a subtle and sometimes not so subtle expectation in nursing that as a male nurse I would do more heavy lifting, stand in when patients or visitors become aggressive or threatening and have the solution to technical issues with equipment and computers. In most situations I have no problems with this as every nurse has unique skills and abilities to offer the profession. What really surprises me is the complete lack of any programs to address the gender biases in female dominated professions such as nursing and teaching. There are no proactive programs to even up the bias. By the way, the low pay argument doesn’t hold up to scrutiny. Both nursing and teaching pay much better than many many jobs generally done by men. This entry was posted in Featured and tagged education, gender imbalance, men, midwifery, nursing, occupations, teaching, women. Bookmark the permalink.